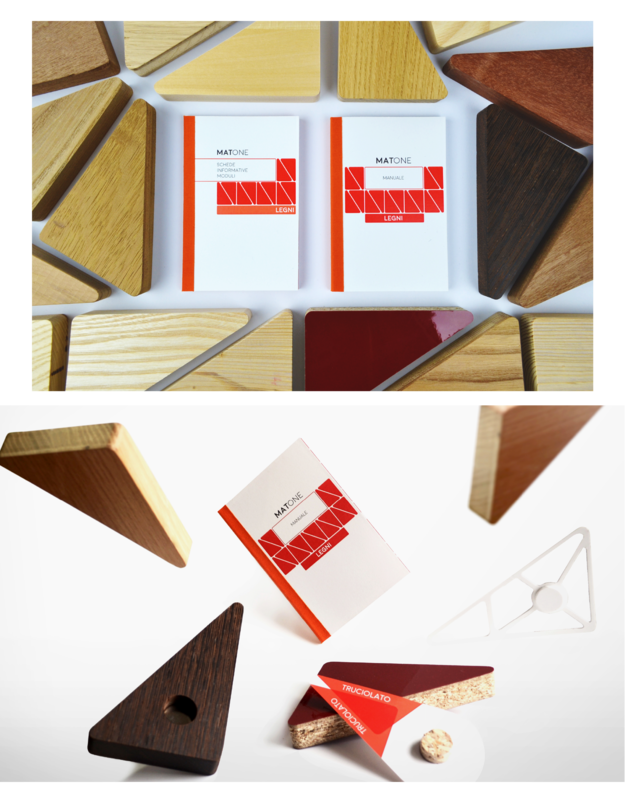 MatOne is my bachelor thesis project at IUAV - University of Architecture and Design of Venice. It is a series of materical kits dedicated to those who begin their studies in a University of Design, helping them to gain a better understanding of the materials through their senses and experimenting with his own hands on real material samples, providing an alternative approach to textbooks. The name of the product comes from “Mattone”, the Italian word that stands for “brick”. The brick is the most basic unit of architecture or more generally of any human construction. It identifies the element zero, which in its simplicity gives infinite potential. This kit aims to be therefore a constant motivation, a spark designed to last. As a metaphor, MatOne is designed not to be a passive object, that does not deplete its function with consultation. 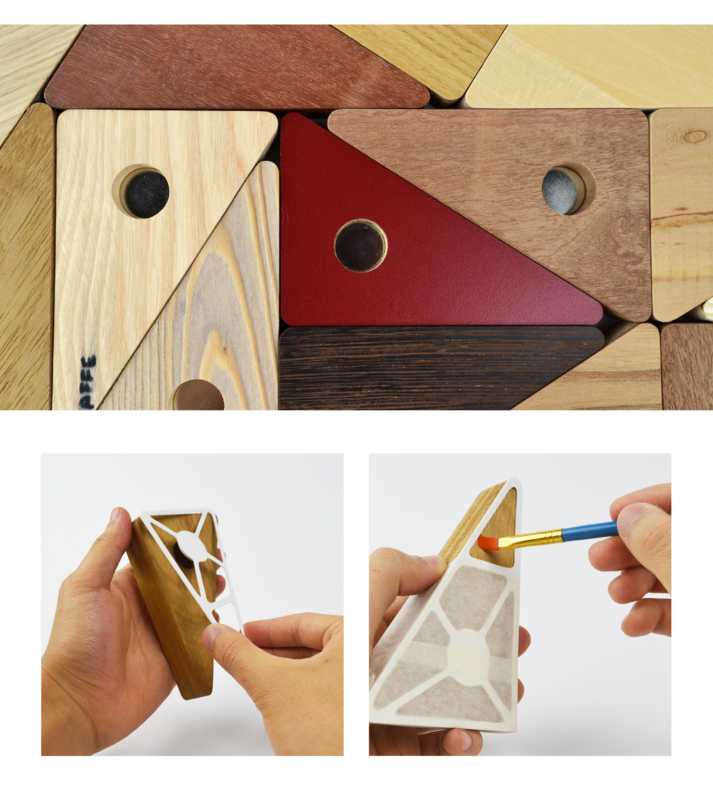 The modules can be assembled with endless functional combinations, transforming itself into a curious and functional desktop accessory. 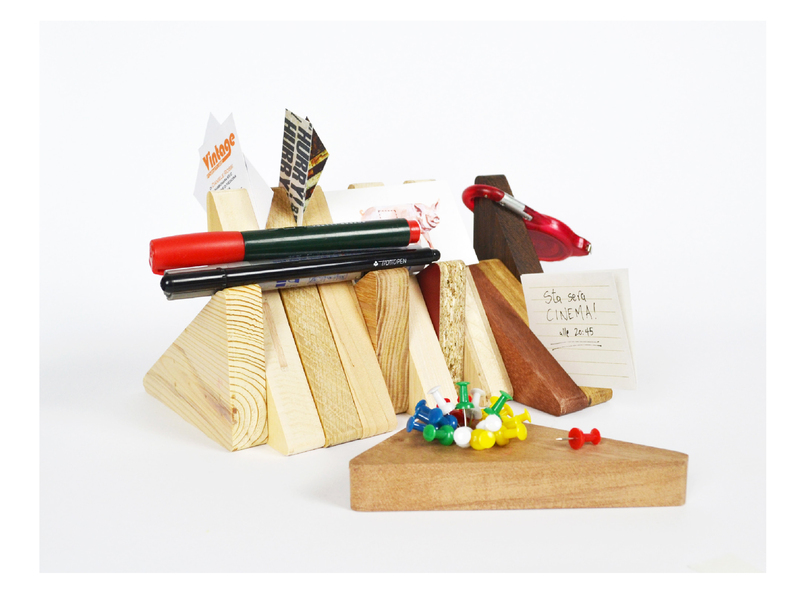 The first kit of the series on which I have focused my project is dedicated to the wood materials family, consisting of 12 modules in different wood species and variants (each equipped with a neodymium magnet, a removable sample and a card information), 4 masks to do tests on the material, a booklet and a manual. The pieces are designed to be cheaper to produce but durable, highlighting the intrinsic qualities of the materials themselves. The kit is imagined within the sale circuit of the Material ConneXion company, in collaboration with several local industries (in the case of wood was selected the firm Merotto Milani) to collect and select from production waste materials the most suitable ones. In this way the project is aimed to involve all the different roles in design industries: by the promoter of culture, the manufacturing and, as an ultimate goal, the academic education body.